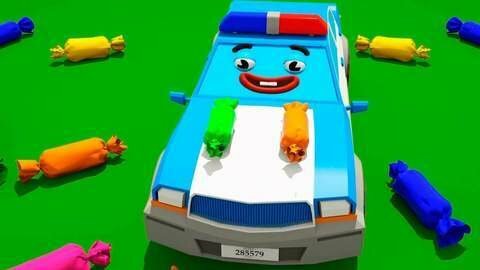 The 3D cars in this car cartoon learn numbers in a fun way by counting the red, green, and blue candies. Count with them and see who gets the most candies out of the huge red box. You can even tell the different colors of the candies for even more learning. Learning while having fun is possible with the free educational videos that you’ll find when you visit SeeZisKids.com.